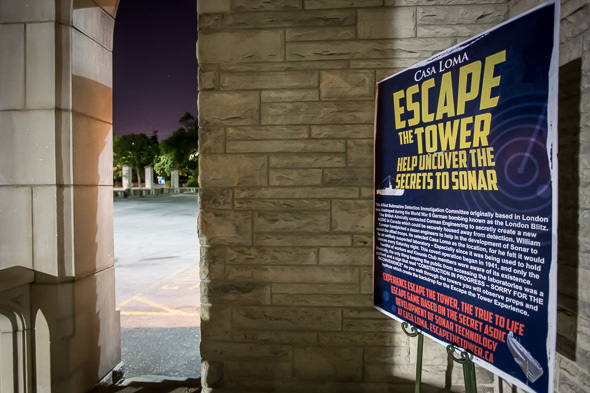 Escape from the Tower is a new escape game In Toronto, operated by Liberty Entertainment Group in conjunction with Company & Co., the people behind the first real escape game in Toronto. Open to the public on August 12, the game takes place in an actual castle tower and blends fact and fiction for a thrilling ride. 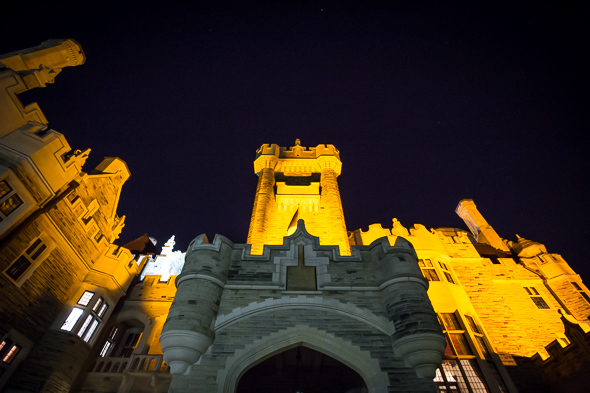 I arrived at Casa Loma ready to escape. I came prepared with my glycogen stores full (carbs), my brain warmed up (brain teasers on the subway) and my second smartest friend (my smartest friend was busy). 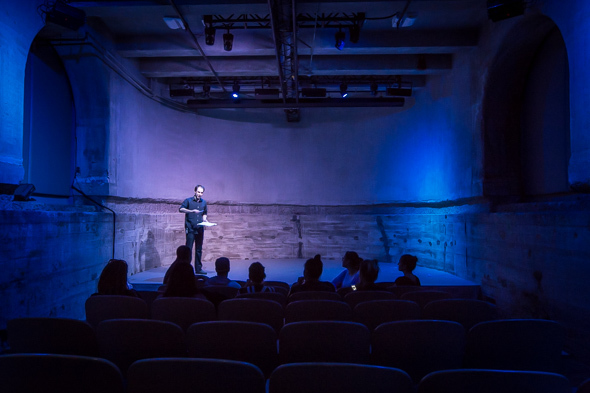 After meeting the group outside Casa Loma, we were led down a creepy hallway and into a cold basement theatre. There, we were given basic instructions and watched a short video that set up the story of our prospective escape and introduced us to our three major objectives. 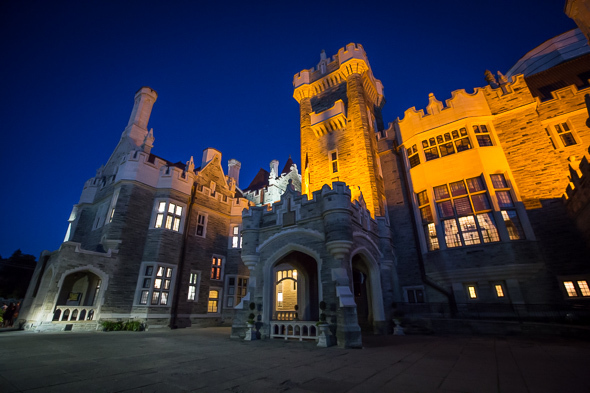 While most escape games have a theme or, at a minimum, a few introductory lines that attempt to provide context, this story was fully fleshed out and mashed up actual Casa Loma history (it was used to do secret research in World War II!) with exciting dramatics (family drama!). Upon completion of the video, we were hustled up to the first of three floors we would be playing on and, hopefully, escaping from. In addition to the inclusion of a fuller storyline, Escape from the Tower departs from the typical escape game by including characters that players can interact with and mine for important information. Having the characters in the game turned an already fun scenario into a full-blown experience. The actors were fully invested, fun, and convincing without being cheesy (which I imagine is extremely difficult when you're in a 1940s getup and talking sadly about your relationship with your father). With the main character leading us, we quickly moved through each floor of the tower. Though I won't spoil anything, I will say that the puzzles in this game are even more imaginative and fun than the original escape game. Sadly, we just missed making it out of the tower in the one hour timeframe but we did complete most of the objectives. I'm still weirdly emotionally invested in the game (which involves reconciling a family), so I left feeling like a 1940s Maury Povich even if we didn't successfully make it out of there. After our hour was up, we watched a video epilogue of the story -- a great way to tie up the narrative and make you feel like you accomplished something even though you're an adult who just paid people to let you play pretend in a museum. It's hard to take something successful and make the second version even better (see: True Detective) but Company & Co. has managed to do just that. Escape from the Tower is open Wednesday to Sunday and have games at 5:30, 7:30, and 9:30 p.m. Prices are $36 per prospective escapee on Wednesdays, Thursdays and Sundays and $42 on Friday and Saturday.